Today I am headed down to the Juravinski Cancer Clinic in Hamilton for the LAST of my 35 radiation treatments. In recognition of this momentous event, I present to you dear Reader a poem I have been working on for ahile now. I feel it only right to recognize the person responsible for my experience of the last 7 weeks. Of course this will not be my last trip to Juravinski. I’ll be back for a check up in 4-5 weeks, and then a CT scan 4-5 weeks after that. But, as they say, the worst is over. Now I can start to heal. Until next time, enjoy the poem… or not. The pain I’m feeling now. Leathery skin that flakes so easily. It’s all part of her legacy. She started it you know, she and her radium, polonium. That will cure your ills. All because of her and those Nobel prizes. Cures worse than the disease. And Marie’s science remains still. The tumours can only take so much. The Cancer succumbs to the onslaught. And there is new hope for tomorrow. Yes, it’s her fault alright! Marie Curie and her little glowing saucers. 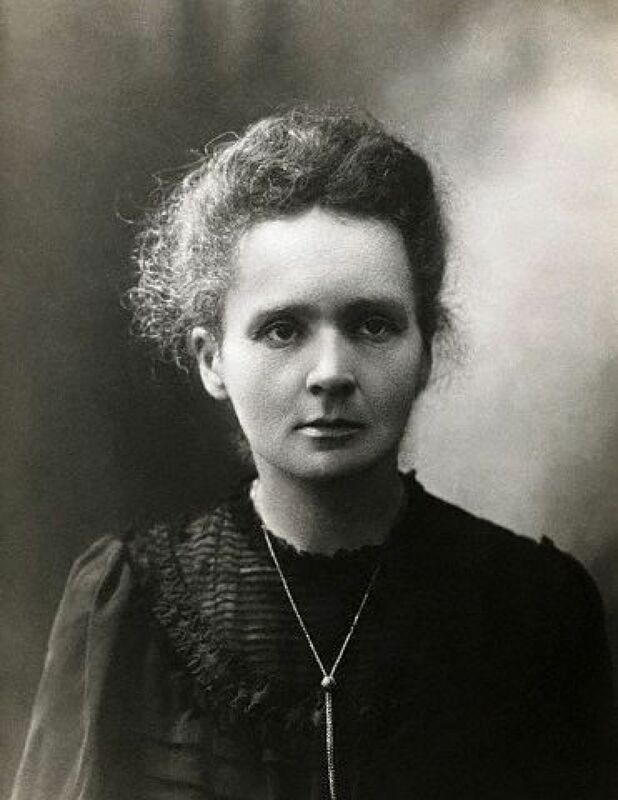 Addendum: For those of you who may not know; Marie Curie and her husband were the first to experiment with radium and other radioactive materials (a term she coined). Among those experiments was the use of radio isotopes to destroy neoplasms, that is, cancers. She won Nobel prizes in both physics and chemistry for her ground breaking work. Well friends, this is it! This post marks the official opening of the new location of Myriad Shades of Gray. Feel free to look around and comment on what you do and do not like. There a few things here you wouldn’t have found at the previous location. There will be additional features added in the future I’m sure. One thing that will be familiar is the scope of the content. Namely, just about anything that catches my attention. From Achilles Heels to Zingers, from Antiquity to the Future; all of it with an eye to how it impacts my spiritual walk. All the posts from the old site have been imported here. I will catalog and tag them as time permits. The old site will be deleted at the end of March 2009. My other blog – Java and Jesus – will stay where it is for the time being; and yes, new posts are coming. I haven’t made up my mind about the History Blog yet. Only time will tell. So once again welcome – and please drop by often. Warning: Blogging can be Habit Forming! It has been just over a month since I started blogging again and I have made a discovery. Blogging (for me anyway) is like potato chips – I can’t write just one! Here’s the deal. Back in November I purchased a new study Bible – the ESV Study Bible (English Standard Version) published by Crossway. I’ve used a number of different study Bibles over the years and this is one of the nicest I’ve seen. The translation is a literal translation but with more than the usual attention given to sentence structure and syntax making it more readable than say, the NASB (New American Standard Bible). The extras are top notch, the contributors the best in their fields, and the artwork is amazing. You can check it out at the link above. During my recent recovery period, I started reading the book of Matthew in the ESV and it wasn’t long before I started thinking about the work I left unfinished at my blog ‘Java and Jesus‘. I found that I wanted to finish the work, and so, after some prayer and contemplation, I have decided I shall. And so starting today I shall once again be posting to java-and-jesus.blogspot.com on a regular basis. How regular, I’m not sure, but I will pick up where I left off with little fanfare and a lot of trepidation. If you enjoyed what I posted before, or are intrigued by what you’ve read here, I invite you to join me. If you know of anyone who used to read J&J then please pass this along and let them know it has started up again. That’s it for now… see you over there, and here as well. When I was a child my mother did her level best to instill me with a love of literature, especially drama and poetry. In my teenage years I rebelled of course, but the fact remains that as I grew older the power of her influence made itself known. Her efforts bore more fruit than she might ever have imagined. That soon would become the site of my fall. A shriek of pain and a retching moan. Then comes a brand new refrain – I’m stuck home! I hobble, I stumble, I shuffle, I crawl. As each second is marked by the clock on the wall. A visitor comes! Oh Callooh! Oh Callay! We talk for a while of the places they roam. And once more the soulful refrain – I’m stuck home! On a modern day rack made of vinyl and chrome. Again comes the endless refrain – I’m stuck home! For yet I still sing the refrain – I’m stuck home!